Designed to improve your performance and safety, these gloves from Elite Sports are great for boxers of all skill levels. Whether you’re just starting out in the sport or want to push yourself further to reach your goals, these gloves can make it happen. Every detail is meticulously refined to improve your performance in the ring. The manufacturers made sure to cover all the bases so that you can focus on improving your technique. With its relatively low price tag, it’s an accessible option that can serve you well as you dominate the sport. With all the great gloves on the market, how do these boxing gloves stack up? These Sports Elite gloves are made up of two different types of materials. They combine the benefits of synthetic polyurethane leather and Maya hide fabric. The PU material is a split leather that incorporates a layer of PU coating. This results in an attractive, yet durable finish. Maya is another type of synthetic leather that’s known for its natural-looking finish. It’s eco-friendly and has a similar texture to natural leather without the added bulk. These materials are used to help keep the weight of the gloves down while improving overall durability. They’re available in 10, 12, and 14-ounce weights. The ultra-light weight allows you to move with quick precision without having to sacrifice additional features. In terms of durability, the gloves are capable of holding up well to repeated action. The materials are durable enough to resist tears. There’s also easy to maintain. Because there’s no natural leather, you don’t have to worry about applying waxes or nourishing the material to prevent it from drying out. As a whole, the material creates a smooth and solid finish that rivals the look of natural leather alternatives. These gloves are designed to help you improve your game. They’re shaped and curved during the manufacturing process. The curve is anatomical and follows the shape of a closed fist. This is especially beneficial for new boxers that are still learning the proper hand position. With its built-in curve, you won’t have to worry about constantly reminding yourself to close your fist. Your hand automatically forms the position when you slip the gloves on so that you can focus on your technique. These gloves definitely don’t skimp on style either. They have a satin black finish and incorporate bold stripe designs. Accent lines and patterns are strategically placed throughout the exterior of the gloves to create an appealing look. It’s available in white, red, and lime green to suit any boxer’s personal flair. Safety is key when you’re in the ring. 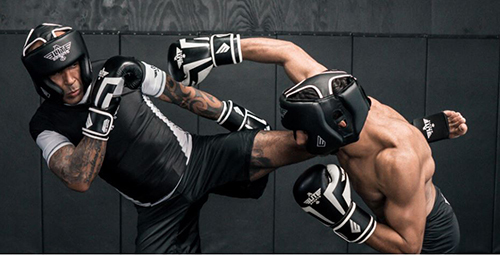 These gloves come with a number of great features to help you avoid injuries and stay comfortable as you fight. The first line of defense is a combination of triple-density gel and foam. Located directly on top of your hand and knuckles, these layers of protection allow you to keep fighting even after a fierce blow. The foam layer is just under the exterior PU leather. 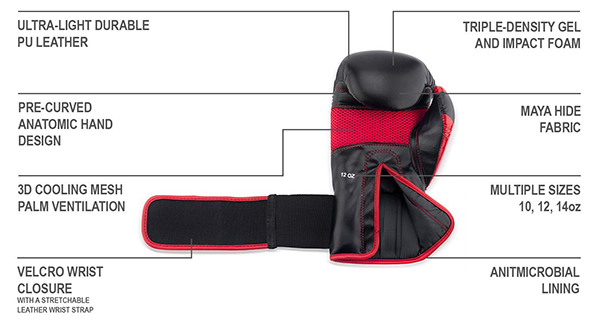 It provides ample cushion to protect your knuckles as you fight. It’s a firm foam that holds its shape no matter how hard you punch. The gel layer underneath is thinner and conforms to the shape of your hand. It absorbs the force of impact and prevents lasting pain after you leave the ring. In addition to padding, the gloves are built to provide you with wrist support to keep you safe from unnecessary sprain injuries. The cuff extends beyond your wrist. This allows you to get a secure fit. The closure system is comprised of simple Velcro and a stretchable leather strap. The Velcro closure system is quick and easy to put on or take off at a moment’s notice. Beyond that, the thick leather strap stabilizes your wrist to counterbalance the bulk of the glove. With a secure fit and ample protection, there are fewer chances for your wrist to give out under the pressure of a blow or twist out of place. One of the most overlooked issues that you’ll face in the ring is hand discomfort due to sweat. Gloves are a lot like boots in the fact that they insulate your hands and don’t provide proper ventilation in their core design. Sports Elite has taken care of this problem by incorporating a large panel of 3D cooling mesh. Located directly over the palm, this mesh panel promotes air circulation throughout your glove. Clammy hands in the ring will be a thing of the past. In addition to improved ventilation and air circulation, the gloves have a protective lining. The lining is anti-microbial and anti-fungal. It works with the increased air flow to keep bacteria and odors at bay. This feature prolongs the life of the gloves and helps you to avoid the irritating side effects of bacterial growth or hand fungus. With the lining, the gloves will stay fresh and ready for your next match. 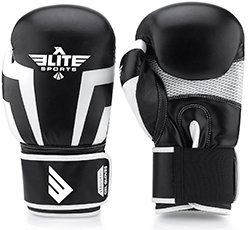 Overall, the Elite Sports boxing gloves can help you master the sport. It’s built with the needs of boxers in mind. 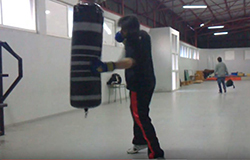 It can keep you safe and comfortable as you fight while improving your technique in the long run. Best of all, the gloves are quite affordable. Despite its lower price tag, these gloves are built to last and can give you the confidence you need when you enter the ring.